On the 9 - 12 July 2015 the ІII International Summer School of Journalism and Communication "Media and Information Literacy: Goal or Tool for Sustainable Development?" was held in Issik-Kul in the framework of the 70-th anniversary of UNESCO, as well as Global Week on Media and Information Literacy (MIL) and global consultations for the UN Sustainable Development Goals after 2015. Event organized by Scientific Center for Humanitarian Studies "Mediasphere" under the auspices of the al-Farabi KazNU and UNESCO Almaty. Global consultations for development goals of the United Nations after 2015. During the breaks students attended the performance of the unique melodies by ethno-cultural groups from Kyzylorda region of Kazakhstan. Lectures were organized on Information Literacy, Internet and News Literacy, as well as workshop on FOE/FOI Literacy. 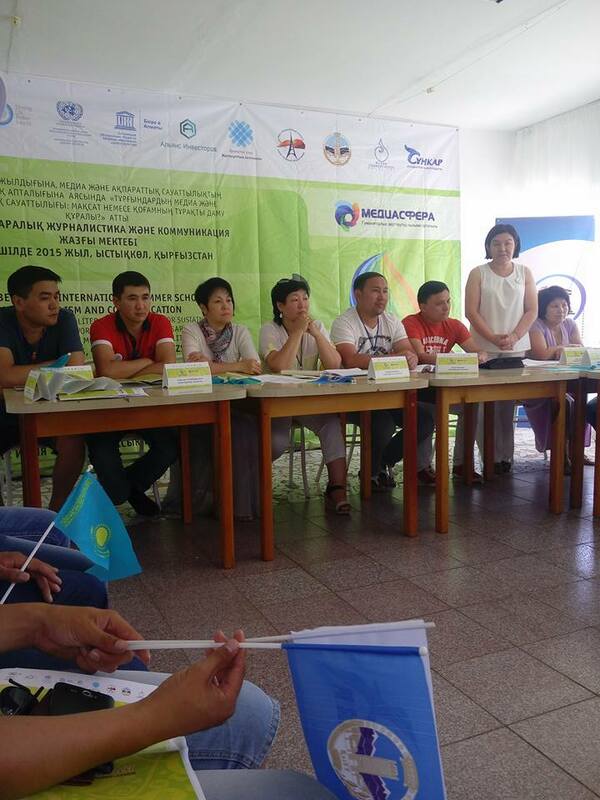 UNESCO Office in Almaty supported this summer school in the framework of the program "Improving the well-being and quality of life in the Kyzylorda region through the implementation of innovative approaches to providing economic, social and environmental services to the local population, including the most vulnerable", implemented jointly Government of the Republic of Kazakhstan and the UN Office in Kazakhstan: UNESCO, UNDP, UNFPA, UN Women, WHO and UNICEF. Duration of the project: July 2014 - December 2016.